Paradise is defined as "an ideal or idyllic place or state" (OED 2016). Depending upon the language from which the term derived from, paradise can mean different things as they were throughout Scriptures. Note that paradise was always used among the living and never among the dead. The following five different pictures provide an image that best describes the different concepts of paradise. In Sanskrit, paradêça or paradîça is well understood to be "a high ground that is well tilled" (SCB 2016) like these Chinese rice patties. 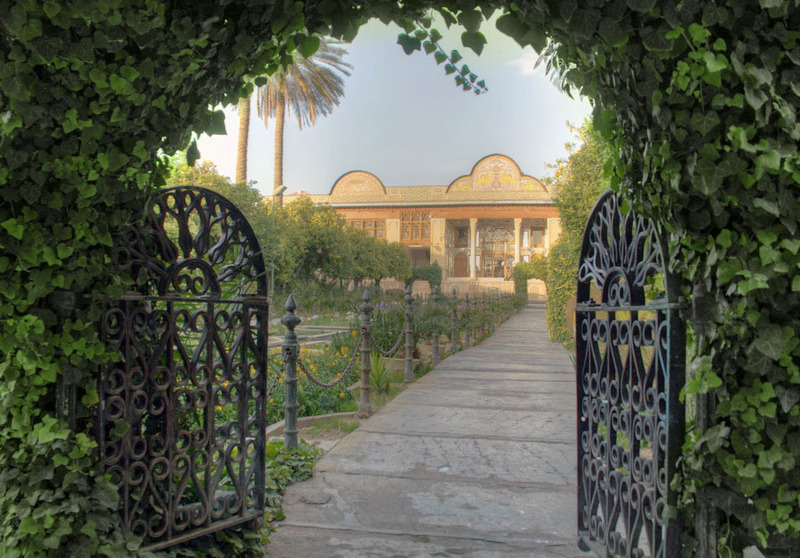 Among the ancient Armenian language, paradise is understood to be "a garden close to a house, laid out and planted for use and ornament" (SCB 2016) similar to Al-Baghe Shazdeh (The Prince's Garden) of Prince Abdolhossein Mirza Farman Farma. 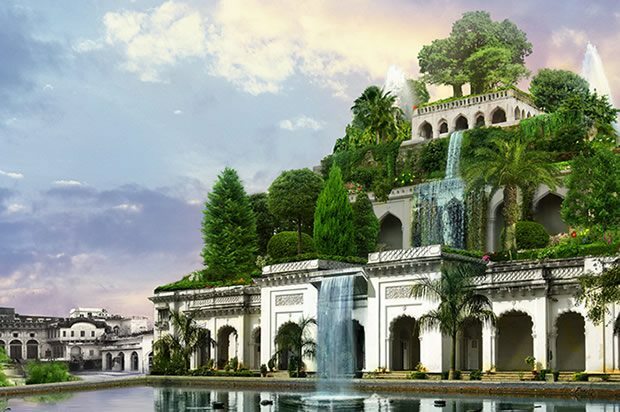 With time, The Babylonian Hanging Gardens became the idyllic "paradise" and was known as one of Seven Wonders of the Ancient World. 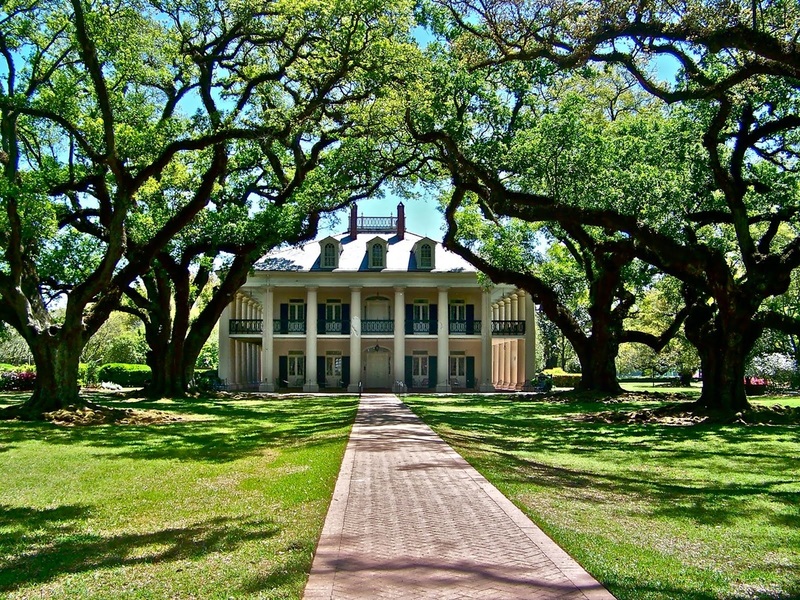 Much later, the ancient Grecians began envisioned our modern day understanding of a plantation with "a garden, pleasure ground, grove or a park" (SCB 2016) as their concept of paradise. This vision affected their polytheistic belief structure so much so that the ancient Grecians began to imagine paradise to be "the part of Hades which was thought [...] to be the abode of the souls of pious until the resurrection: but some understand this to be a heavenly paradise" (SCB 2016). The Jewish Encyclopedia reasons, "The word "paradise" is probably of Persian origin. It occurs but three times in the Old Testament, namely, in Song of Songs 4:13, Ecclesiastes 2:5 and Nehemiah 2:8. In the first of these passages, paradise means "garden;" in the second and third [passages], [the term paradise means] "park." In the apocalypses and in the Talmud the word is used of the Garden of Eden and its heavenly prototype (comp. references in Weber's "Jüdische Theologie," 2d ed., 1897, pp. 344 et seq.). From this usage paradise came to denote, as in the New Testament, the abode of the blessed (comp. Luke 23:43, 2 Corinthians 12:4 and Revelations 2:7). As per the Hebrew concept of H6508 Pardes (פַּרְדֵּס) as it is used in the Hebrew Bible, The Strong's Concordance of the Bible informs us that the term is of foreign origin "not to be sought for in Greek or in Hebrew, but in the languages of eastern Asia" (SCB 2016). 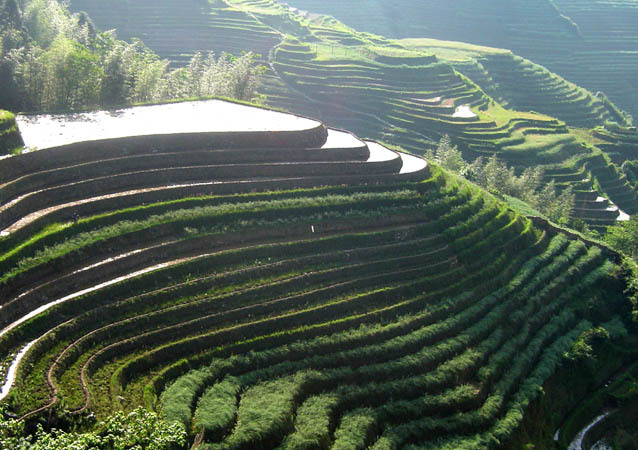 In Sanskrit, both paradêça and paradîça is well understood to be "a high ground that is well tilled" (SCB 2016). Among the ancient Armenian language, paradise is understood to be "a garden close to a house, laid out and planted for use and ornament" (SCB 2016). As per the Greek concept of G3857 paradeisos (παράδεισος), The Strong's Concordance of the Bible provides us with other additional references. Among the Persians, paradise was well understood to be "[...] a grand enclosure or preserve, hunting ground, park, shady and well watered, in which wild animals, were kept for the hunt; paradise was enclosed by walls and furnished with towers for the hunters" (SCB 2016). 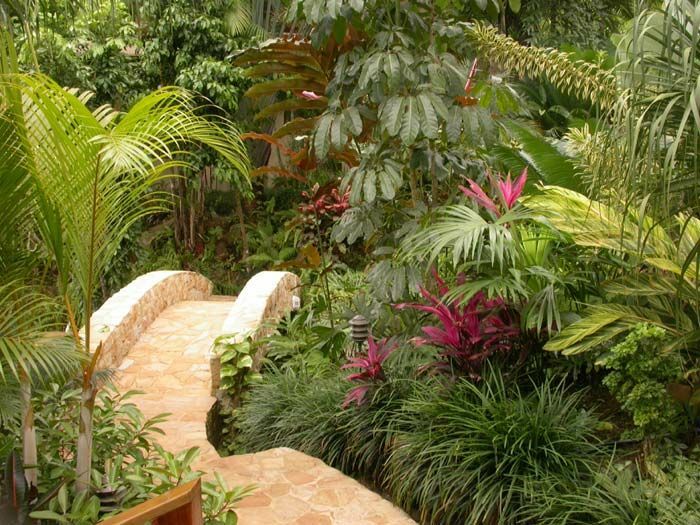 In short, paradise is a term that best describes "a garden, pleasure ground, grove or a park" (SCB 2016). The Jewish Encyclopedia reasons, "The word "paradise" is probably of Persian origin. It occurs but three times in the Old Testament, namely, in Song of Songs 4:13, Ecclesiastes 2:5, and Nehemiah 2:8. In the first of these passages, paradise means "garden;" in the second and third [passages], [the term paradise means] "park." In the apocalypses and in the Talmud the word is used of the Garden of Eden and its heavenly prototype (comp. references in Weber's "Jüdische Theologie," 2d ed., 1897, pp. 344 et seq.). From this usage paradise came to denote, as in the New Testament, the abode of the blessed (comp. Luke 23:43, 2 Corinthians 12:4, and Revelations 2:7). "Paradise, in religion, a place of exceptional happiness and delight. The term paradise is often used as a synonym for the Garden of Eden before the expulsion of Adam and Eve. An earthly paradise is often conceived of as existing in a time when heaven and earth were very close together or actually touching, and when humans and gods had free and happy association. Many religions also include the notion of a fuller life beyond the grave, a land in which there will be an absence of suffering and a complete satisfaction of bodily desires. Accounts of a primordial earthly paradise in the higher religions range from that of a garden of life (Judaism, Christianity, Islām) to that of a golden age of human society at the beginning of each cycle of human existence (Buddhism, Hinduism). A final state of bliss is variously conceived of as a heavenly afterlife (Islām, Christianity), union with the divine (Hinduism), or an eternal condition of peace and changelessness (Buddhism). In Christianity, paradise is pictured as a place of rest and refreshment in which the righteous dead enjoy the glorious presence of Yahweh. In its view of the heavenly afterlife, Islām views paradise as a pleasure garden in which the blessed experience the greatest sensual and spiritual happiness" (The Encyclopedia Britannica 2016). Concerning Paradise, The Jewish Encyclopedia has much to say.